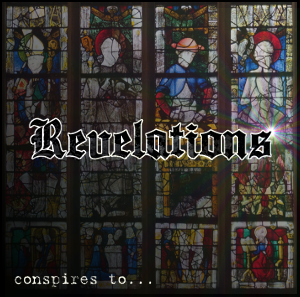 Revelations is now officially released on iTunes and Spotify, head over to ALBUMS page and following the links. It's cover time again. This time it is The Sentinel by Judas Priest. Fantastic song, proper straight ahead metal and great fun to play. You can now listen to at the bottom of the ALBUMS page. The new album Revelations is coming along well, and some new songs will be surfacing soon, so keep checking out this news real for more information. At last Afterlife has been released and is now available at Amazon and Google Play. iTunes are yet to get their finger out!! You can find a link to purchase on the ALBUMS page. Another track complete called Scar the Bone. This was debuted on Dr John's Unsigned Rock Surgery last week. More on the way very soon, and Afterlife is now 50% complete! We can now announce that our new album will be called Afterlife! The first track called Watch Me Rise was played on Dr John's Unsigned Rock Surgery on Sunday and is now available to listen to on our ALBUMS page. More to follow!!!! We recently recorded a version of Bulldozer by Machinehead just for fun that you can now listen to at the bottom of the ALBUMS page. The new album is coming along well, and some new songs will be surfacing soon, so keep checking out this news real for more information. We are currently working on a new cover to get us back into the swing of the heavier end of things, so thought we would upload the others we have recorded over the years. You can now listen to them at the bottom of the ALBUMS page. Heartland is available to download from iTunes NOW!!!!!!! Heartland is available to download from Amazon MP3 NOW!!!!!!! We have now uploaded all our artwork from our 3 x release albums as well as Heartland (Available any day now). You can see it by going to our ALBUMS page and clicking the "Additional Album Artwork" link which appears under each album. Enjoy! Heartland is complete, and will be released on iTunes later this month! For a full track list check out our ALBUMS page. Another new song, this time the title track from our forthcoming album Heartland is available listen to on our ALBUMS page. The album is still on for a June release. Another new track "Heartland" will be being played for the first time ever on Dr John's Unsigned Rock Surgery on Birmingham City Radio on Sunday 25th May. Tune in from 18:30 BST for some great unsigned music. A full track listing for Heartland the album will be announced in a few days, with the album still on for a June release. New track "Two More Days" is available now to listen to on our Albums page. This is an acoustic track that will appear on Heartland when released sometime before the summer. 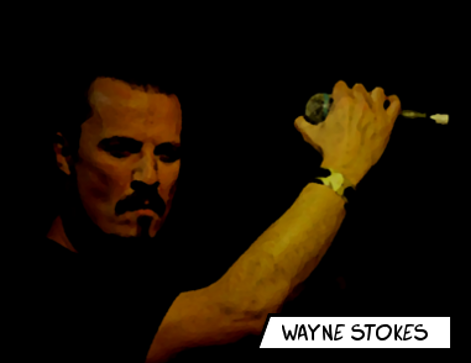 This track was premiered on Dr John's Unsigned Rock Surgery on Birmingham City Radio last Sunday night. Two more tracks that will appear on Heartland have been mixed and mastered this week. Both heavily acoustic based, one is called 'Two More Days', and the other 'Woman'. One of these will be making it on to this site in the next few days. A new track called 'The River' which will be on our forthcoming album Heartland is available listen to on our ALBUMS page. It is quite a departure from our normal style, as is the rest of the album. Give it a listen and let us know what you think. Tablature for guitar and bass, for 3 tracks from our first album "Redemption" are now available to download in Guitar Pro, PDF and Text formats. Find them now on the TAB page. Album artwork now complete for the front cover of our next album 'Heartland'. Recording is still progressing well, and we are still on track for an early summer release. A new track maybe appearing on this site very soon. 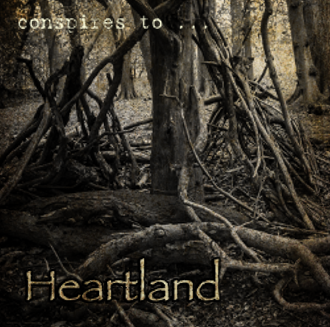 Our next album will be entitled 'HEARTLAND', and we are hoping to have it completed by the summer. Most songs are now complete, and we are concentrating on the final recording and mixing at present. 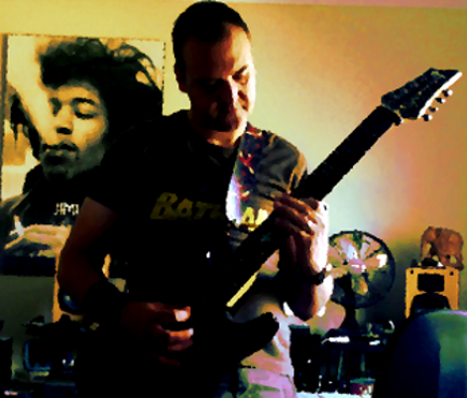 Work continued and good progress was made this week on two songs entitled 'Reflection', and 'The World Tried to Cry'. All melodies and lyrics were completed, and Wayne got down all the vocals for 'Reflection'. Mixing on some other tracks has also been progressing with the preliminary mix for a track called 'Woman' being completed. At least one of these songs will be appearing on this site along with the cover artwork very soon. Across the Sky has been selected by Rocksolid-Tech to help promote their new 'Stubilizer' mount for the GoPro video camera. The song appears at the end of the video which can be viewed at www.kickstarter.com. Thanks to Stuart Smith for selecting the track, and we wish him all the best with his business venture! 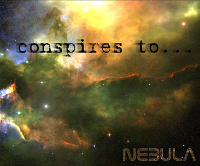 Our latest album 'Nebula' is now available as a physical CD form our Reverbnation Store. There have been a few tweaks to the website. Check out the new videos page. Tablature is in progress and will appear on the site very soon. Work is continuing on our next album, with ten tracks written and recorded, and 4 more to go. This album is really quite a departure for us, and quite unlike anything we have done before. We will be uploading the first song some time over the next couple of weeks. www.conspiresto.com is live. Today have launched our new web site where we will keep you up to date with up and coming releases, and details of what we have been upto. There will be links to new songs as they become available, as well as links to purchase our albums, view our videos. Tablature for some of our songs will also start to appear in the coming months so keep popping back in order not to miss out.